EFE PRINT ON DEMAND is an on demand print service of impacting images that belong to the EFE image archive, selected among about 17 million beautiful graphic documents and important in history. You will receive your prints at the address you choose (included on the form) and you will enjoy them for life. EFE will include new pictures every month, but if you want some photo that is not listed ask for it and we will try to include it. ESPAÑA-CIRCO DEL SOL:V12. 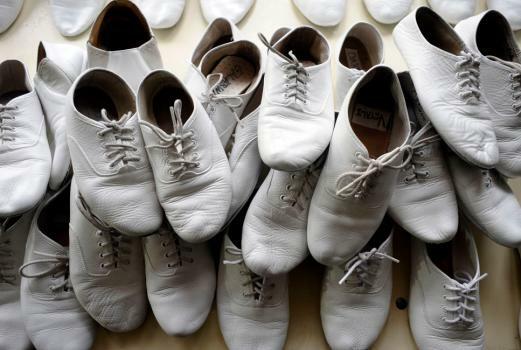 VALENCIA, 14/04/2010.- Los zapatos de los artistas del Circo del Sol relucen almacenados en los bastidores con motivo del estreno hoy de su espectáculo "Saltimbanco" en el velódromo Luis Puig de Valencia. EFE/Kai Försterling. The reproduction is rolled in a rigid tube for shipping. 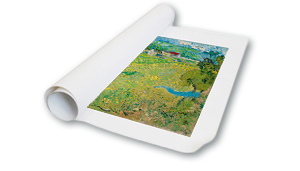 Fine Art Giclée printing is commonly used at a professional level for the reproduction of works of art. The inkjet printing technique uses natural pigments which are highly light-resistant. We use a special 260g/m2 matte Fine Art paper for high-quality reproductions. The work will be printed according to the measures you have requested and will include an additional white border. These products are exclusive and original which reproduce with maximum faithfulness to the originals. They are the only official products and publications.